Commander Selonius Peldar rose from his chair and walked across his small office to gaze out of his window at the planet below him and the stars beyond. His mind was reeling. He had just been given a very, very disturbing report on the events of the previous year. And he was stunned. How could two men bring a dead comrade back to life? Granted, Federation medical science had progressed in leaps and bounds over the past decade, but this was impossible! One: A doctor Julian Bashir had descended into a brief period of severe depression and madness brought on by the death of his fiancée, a Trill called Ezri Dax. Two: He had then gone on six months’ compassionate leave, during which time he cloned her, but, apparently, without the Dax symbiont, she died. Shortly afterwards, in a pirate attack, both the original and cloned bodies had been vaporised. Three: This deepened his madness, and so he turned to the other Dax that had played a major part in his life, a then-dead woman called Jadzia Dax. He, apparently, had told his superior officer about this before cloning her. Although initially angry, his superior officer decided to contact some powerful beings known as ‘the Prophets’ - a race of energy beings that inhabit the Bajoran wormhole. Four: after much persuading by Sisko and Bashir, the Prophets agreed to revive this Jadzia Dax by applying a neuro-stimulating electrical charge to her body. Sisko had then asked them to wait until the Dax symbiont was ready to be transferred into her body. Five: (this was the point that had Peldar the most worried) after consulting Sisko, the Symbiosis Commission of Trill agreed to the transfer following the ‘convenient’ death of the new Dax host, a man called Tolin Dax. Six: the revival of Jadzia Dax had been successful. Sisko and Bashir had been both criticised and praised for their efforts, and all three officers took up their former positions on DS9. After a dangerous mission, Dax was promoted to the rank of commander. Ten: Preserver Obelisks had been found in the Bajoran Wormhole and on Jaglyn Minor, which meant the entire scenario was engineered by the Preservers, a mysterious, super-powerful alien race. Anyone or anything to do with Section 31 was classified and, officially at any rate, did not exist. Section 31 were the secret force of the Federation, hell-bent on its protection. Now, following the death of Malcolm Sloane, Peldar was the head of Section 31. And he didn’t like it. Now that another engineered incident had occurred, it was evident that there was a slight increase in the number of engineered occurrences. One of the first ever found by Section 31 was the early promotion of James Kirk, making him the youngest captain in Starfleet history. The second was the Farpoint incident, the third found was the co-incidence of a Vulcan ship passing through the Sol system at exactly the same time as Cochrane made his historic Warp Flight in the Phoenix. The fourth was the mission surrounding the Khitomer Conference, and the list went on. Almost every major incident in Federation history was engineered by the Preservers. But, to what end? Peldar sighed and went back to his desk to finish reading the report on the Dax incident. Reading the last section, he read that she and thirty-eight others had contracted a virus and were placed in stasis until a cure could be administered at Starfleet Medical. But the transport ship crashed, and when S31 investigated, a Preserver obelisk was found on the planet less than five hundred meters away from the crash site, buried up to its top in sand. The odd thing was, only thirty-two damaged or broken casks were ever found. The seven remaining ones, including Dax, and, to Peldar’s annoyance, the selfsame doctor who persuaded the Prophets of Bajor to revive her, were never found. Peldar got up and walked over to his replicator. The computer beeped and then responded "Sorry. That beverage is not in our database. Please specify chemical structure and/or process of its creation." "Damn computer. Alright, then, give me an Andorian Rum, on ice." The computer beeped, and in a whirl of light, a glass appeared, sporting a deep purple liquid and a few ice cubes. Peldar sat down and sipped the icy drink, trying to comprehend the report on his computer screen. "Captain’s log, stardate 83141.2, USS T’Kumbra, Captain Rachel R’Mor reporting. We have discovered an abandoned Orion Pirate outpost in the Tellas system. Judging by the state the base is in, it seems the Orions were discovered by a Klingon patrol some years ago and left in a hurry. Sensor scans show they left a considerable amount of their takings behind, so I have sent my science officer and a large away team down to have a look." The planet was one vast desert. No rivers or seas, no lakes or clouds of water vapour. Just sand, cliffs, gorges and mountains. Dr Waylyn Parasa was glad to be inside. No that you could really call it ‘inside’. The ruins of the pirate outpost offered limited shelter from the wind. In the sky above, a cruel sun eat down, and pinkish clouds scooted high above, looking like cirrus clouds bathed in the light from a sunset. But, they were clouds of pulverised sand, not water, blown high into the atmosphere by the strong winds of this harsh world. Waving her tricorder around, for the sake of a change she saw it had found something. Walking over to the place her tricorder indicted, she saw an opening to a cave in the side of a cliff face about twenty meters away from the ruins. There was a faint power signature coming from inside the cave. The sand swirling endlessly around her feet distorted the signal somewhat, so, interested, she climbed up the steep rock face and into the cavern above her head. Taking an automatic step backwards on the rocks, she remembered. Dr Bashir was a famous doctor of a century ago. She remembered, now. He contracted some form of virus, and was placed in stasis along with thirty-eight others. They were all then taken to Starfleet Medical, but the transport ship was attacked by Orion Pirates and crashed. Only thirty-two tubes were ever recovered, and no intact ones were found. Parasa knew what she had to do. She tapped her combadge. "R’Mor, here, what can I do for you, Waylyn?" came her captain’s voice from the tiny speaker in the badge. "Captain, I’ve found the stasis tubes of Julian Bashir and Jadzia Dax." There came a stunned silence from the communicator. Then, R’Mor recovered. Parasa heard her give an order to the science officer. The excited man’s voice filtered through the combadge, though Parasa couldn’t make out what he said. Then, R’Mor’s voice came again. "Right, doctor. We’ve got them. We’ll beam you and the others up immediately. We need to take those casks to Starfleet Medical as soon as possible before they de-activate." Way above the desert planet, the graceful shape of the Starship T’Kumbra stretched before vanishing in a brilliant flare of white light, speeding its precious cargo back to the heart of the Federation. And, tumbling unnoticed through the void, a small, dull green obelisk surveyed all, and sent a single message back to its creators, an unimaginable distance away. And, high above the green planet of Uranus, beyond it’s silver rings, the great Terran Wormhole blossomed into being, to transfer that signal to its recipients. The room was large, clean. Strong white lights shone from emplacements on the walls and in the ceiling. The smell of disinfectants and medicines permeated the cool air of the room, making it seem as if it weren’t quite there. There was a woman leaning over her. As the woman’s face came into focus, it became apparent that her uniform was wrong, different. Moving her head slightly, Jadzia Dax saw other unfamiliar things. All the uniforms were different; darker. The insignia pinned to the uniform’s left breast was different, too. Instead of the silver curving re-entrant triangle and twin gold bars, there was an unfamiliar, different silver curving re-entrant triangle with the Federation seal etched into the middle. The gold bars were different, too. And, there was a ring of silver around the lot as well. 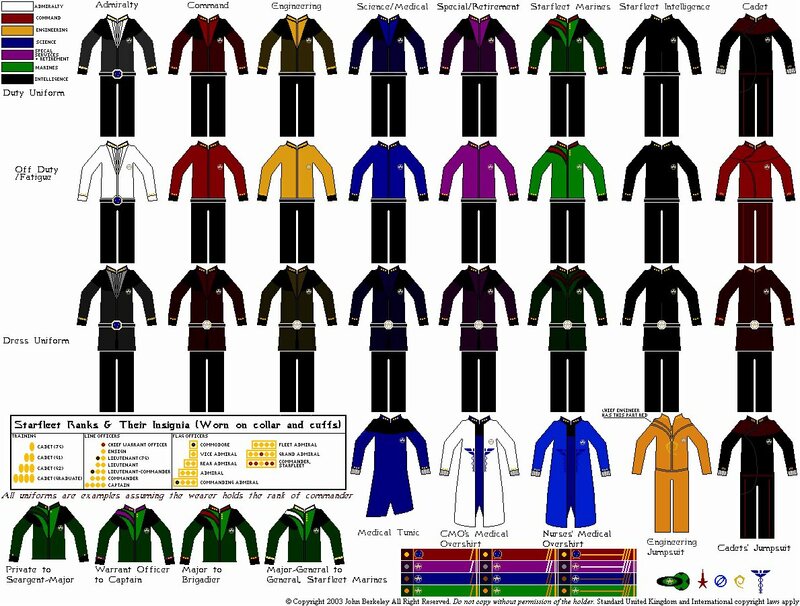 In fact, the only familiar feature of the uniforms were the silver or obsidian rank pips on the people’s collars, yet even these had changed. They now appeared on both sides of the collar, and on each cuff as well. Dax realised the woman was speaking. "How do you feel, Commander?" Dax summoned up enough energy to respond. "I feel strange. As if I’m not entirely here." The unknown woman smiled faintly. "That’s nothing to worry about, ma’am. It’s just the after-effects of the stasis chamber. They’ll wear off in about an hour or so." Jadzia nodded and lay her head back on her pillow. She heard footsteps approaching, and another face appeared in her line of sight. Another female face. This woman was, unlike the other (presumably medical) staff, dressed in a white uniform. It was not this odd uniform, or the woman’s startling beauty, nor was it her long, slightly curly red hair that drew Dax’s gaze. It was the pips she had on her collar. According to those pips, Jadzia was looking at a full admiral. The admiral spoke to the other woman who was presumably some kind of medic. "She’s awake. You can talk to her if you like, admiral, but be gentle." "Thankyou, nurse. If you’ll excuse us." The nurse walked off, and the admiral turned to Dax, who tried to sit up, but as she felt very weak, couldn’t. The admiral smiled and gently pushed Dax back onto her pillow. Instead, Dax moved the pillow so at least she could prop herself up on it. The admiral introduced herself. Dax found it easier to talk now she was in a sitting position. Trealor shook her head slightly. "Call me Riannah." Dax nodded. "All right then, Riannah. Where am I?" Trealor smiled. "You are in Starfleet Medical, on Earth. Though, from your point of view that’s not strictly true." Dax frowned, but Trealor pressed on. "Jadzia, what’s the last thing you remember?" Jadzia looked away, drawing on her memory. Julian. She remembered Julian. She had some kind of virus. Julian was telling her that everything would be alright and she would be taken to Starfleet Medical on Earth. She looked at Trealor. "The last thing I remember is Jul- er, Dr Bashir placing me in stasis, telling me I’d be fine." Trealor nodded. "Well, shortly after you were put in stasis, others on Deep Space Nine contracted the virus and thirty nine of you were rushed to Starfleet Medical in stasis, aboard the USS Columbus. However, en route, the Columbus was attacked by a fleet of Orion pirate ships, and was forced to crash on Jaglyn Minor. The crash alone killed many of the people in stasis. Although a mission was mounted by the USS Defiant to search the wreckage, no surviving casks were found." Jadzia chose this moment to interrupt the admiral. Trealor smiled gently, and continued. "I’m getting there, Jadzia. Anyway, recently, the USS T’Kumbra found a deserted Orion outpost on Tellas Beta. Apparently, the Orions searched the wreck of the Columbus and took the surviving casks as trophies. Some casks had shut down, but a handful were still in tact. The T’Kumbra rushed to Starfleet Medical and seven of you are here." Trealor, however, did not. "However, I don’t quite know how to say this, but..." She drew herself up. "...I’m sorry to tell you that the Columbus crashed ninety years ago." "You said that others from DS9 contracted the virus. Who were they?" she asked. Trealor checked a PADD she was carrying. "Well, the records were mostly lost in the Second Dominion War, but I can give you the names of who the T’Kumbra found." For the moment, Dax chose to overlook the fact that she distinctly hear the words ‘Second Dominion War’, and pressed on. Trealor looked at her PADD again, and read off a list of names. "Ensign Vasily Kebron, Lieutenant-Commander Barek Amoriel, Lieutenant B’sal, Mrs Tarnia Aklar, Captain Goroth of Kor, yourself, and Dr Julian Bashir." Jadzia very nearly jumped out of her bed. Trealor nodded. Dax tried to get out of bed, but Trealor held her back. "Jadzia, wait. I need you to listen." Very reluctantly, Dax sat down again. Trealor continued. "In the ninety years since you were last conscious, a lot has happened. Do you mind if I patch up the holes?" "Not at all. Actually, I’d like that." Trealor nodded. "Good. Well, in 2391 buy human reckoning, the Dominion attacked the Alpha Quadrant again. The twenty-five years they had to rebuild had paid off. The Federation and it’s allies countered, but they were weakened by the attacks. Eventually, Deep Space Nine was overrun by the Dominion, and was destroyed by Commodore Sisko." At an agonised look from Dax, she added "All the crew got off safely. Anyway, eventually, the border was pushed right back to Sol System. Every single Federation world the Dominion encountered was raped of its resources." Jadzia looked down. That meant that Trillian was among those devastated planets. She looked up at the admiral, who was giving her a look of the utmost sympathy. She laid a hand on Dax’s shoulder. "I’m sorry, Jadzia. As a matter of fact, Trillian was not that badly attacked as it was of no strategic value to the Dominion. Trust me, I know what it’s like to have something like that happen to your homeworld." Dax looked up. "Did the Dominion do that to your homeworld too?" For a fleeting instant, Dax was sure the admiral looked shifty, but she quickly dismissed the thought as Trealor responded. "Not... ...exactly. I’ll come to that in due course. Anyway, almost all of the major Alpha and Beta quadrant powers had rallied in Sol System. The Battle of Sol was fought in high orbit of Sol VII, Uranus. The Dominion lost that battle, and the Federation was quickly re-formed again. The Klingons attacked the Dominion in the Gamma Quadrant, and the Dominion Homeworld was shattered by a Klingon antimatter device. Rebuilding, it soon became apparent that there was something in orbit of Uranus that meant ships kept disappearing. Eventually, the USS Deneva discovered a stable wormhole in orbit of Uranus. This wormhole was artificially created by an ancient race called the Preservers, and where it led was unimaginable." "Where?" asked Dax, impatient to know more. Trealor looked very pointedly at her. "To the galaxy NGC 1300,"
Dax sank back onto her pillow. "This is too much. That galaxy is millions of light-years away." Trealor nodded. "The actual figure is so vast it is meaningless. Anyway, exploring this galaxy, the Federation expanded its borders through the Terran Wormhole and in this new galaxy. No large inter-stellar organisations were found, so the few races in the area, all being post-warp, joined the Federation. 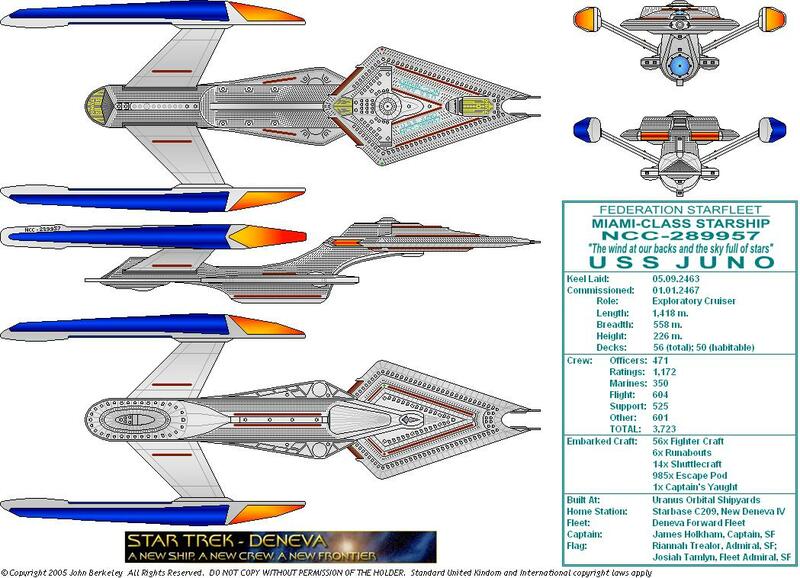 Now, we have been finding Klingon and Romulan ships in this new galaxy as well. At first we thought they had drifted through in the Battle of Sol, but now we have found that there are similar wormholes in orbit of Qo’nos and Romulus." Jadzia was stunned. "Surely, that can’t be a coincidence?" Trealor shook her head. "It’s not. I’d have to fill you in, in private about it, as it’s classified, but the Klingons and Romulans now have sizeable territories in Titana-Caloris." Dax frowned. "In - where, sorry?" "Titana-Caloris. It’s the proper name of NGC-1300." Trealor turned away, and Dax heard her pick up something made of glass. When she tuned back, Trealor had a mug of some steaming drink in her hand. Jadzia could smell it. It was raktajino. Trealor smiled. "Drink this. It’ll help the stasis effects wear off. I also understand it’s something of a vice of yours, too." Dax grinned, and, now feeling a lot stronger, she swung her legs off he bed, and sat up on the side of the bed. Gratefully, she took the mug from Trealor and sipped at it. It was as nice as she remembered it. Trealor folded her arms. "Now, Jadzia. My posting is on a StarBase on the other side of the Terran Wormhole. However, I can’t return there quite yet. 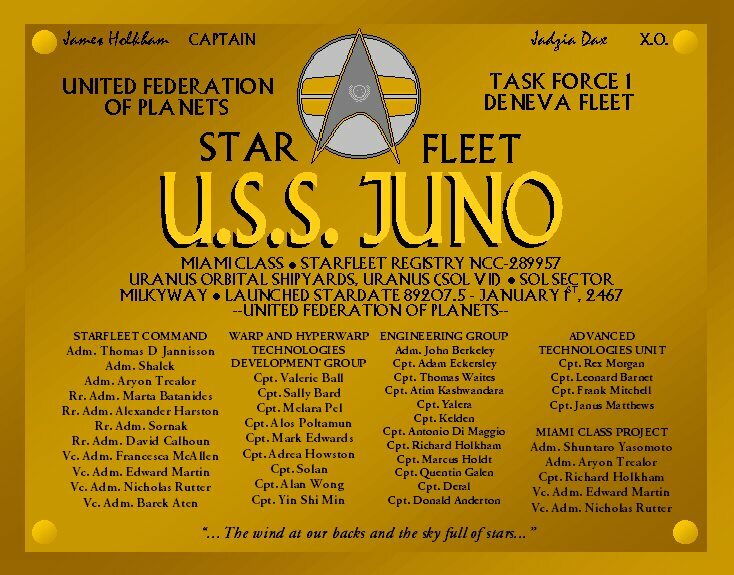 I have contacted the commandant of the Academy and he has agreed to let you and the other Starfleet officers from the Columbus take a few weeks in the academy to, er, bring you up to speed. But, it’s your choice, Jadzia. If you don’t want to continue in Starfleet, I shall more than understand." Dax almost dropped her mug. "Are you joking, admiral? Of course I want to continue." Trealor grinned and laid a hand briefly on Dax’s shoulder. "Good. Now, Commander, I am over here on leave, but before I go back to the StarBase, I have a very important duty to fulfil. Recently, the flagship of the Deneva Fleet was decommissioned. The new flagship is currently under construction, but before I go back, I must commission her. Now, most of the postings have been taken, but the posting of first officer is still open. Would you accept the posting if I offered it to you?" "Of course!" Dax felt she couldn’t really refuse. Trealor nodded. "Excellent. I’m afraid I must leave, now, Jadzia. I’ll contact you shortly after you move in at the Academy." Jadzia thanked the Admiral and she walked off. Dax set down her mug of coffee, and looked around. In similar beds, other people, all of whom she recognised from DS9 were recovering. She decided to walk around for a bit, so she visited the beds of her old comrades. She felt completely dazed after her conversation with Riannah Trealor. On reflection, however, she was uncertain whether it was the after-effects of the stasis cask, but she suspected it was a little of both. She spoke briefly with each person, until she came to an empty bed. Judging by the state the sheets were in, it had only recently been vacated. Looking around, she saw a man in a similar uniform to her own finish talking to a nurse by the door, and walk out. Jadzia followed, certain she recognised the way the man was walking. She hurried up to him, and he turned to her. And they both stopped walking. The man was about Jadzia’s height, with caramel-brown skin and curly black hair. His hazel eyes widened as they fell on her. They embraced briefly. When they broke apart, they were both grinning. "Julian. It’s good to see at least one familiar face." Bashir smiled. "What are you going to do?" "Well, I need to take a short course at the academy to bring me up to speed, and after that, well, I’ve been offered a place on a ship." Bashir stared. "Really? What are you going to be? And, more importantly, which ship is it?" "I’ve been offered the position of first officer on board admiral Trealor’s new flagship." Bashir nodded. "She spoke to you too, did she?" Dax looked at him sharply. "She spoke to all of us." Bashir supplied. "Apparently, we’ve all got positions on her new ship." Dax looked at him even more sharply. "What?" "Well, it seems her ship, the Juno, I think it’s called, will be launched in a few months time, and, well, she’s given us all positions. I’m the CMO, Kebron and Barek are in Engineering, and B’Sal’s going to be in comms. Jadzia nodded. 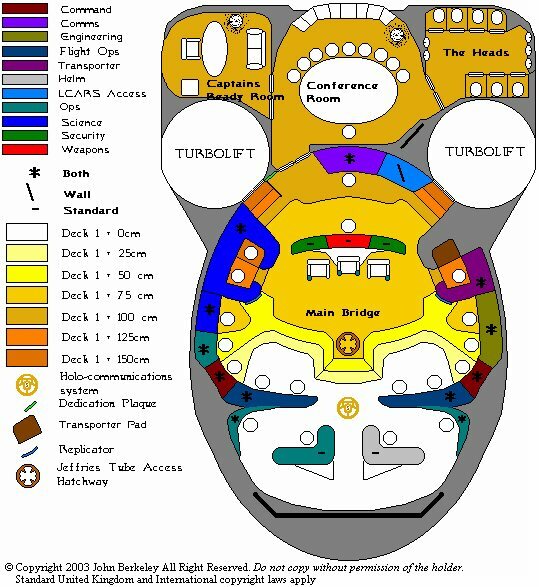 It was thoughtful of Trealor to keep them all on the same ship. Dax suspected that she’d gone to great pains to make sure they all had a familiar face to turn to, and was silently very grateful. Dax and Bashir had been walking in a large circle, so, by the time they had walked all the way around it, they found themselves outside their own ward. Going in, they went back to their beds where they were give a final check-up by the nurse. While the nurse was finishing off Lieutenant Kebron, a man in a red uniform walked in. His pips indicated he held the rank of captain, and he looked around as he came in. He walked over to Dax. The man smiled. "I’ve been all over the complex looking for this ward. Anyway, I’m James Holkham. I’m going to be your captain. Has Admiral Trealor spoken to you all, yet?" "Good. That’ll make it all a lot simpler." He looked round to Kebron’s bed and found that the nurse had gone. He turned and introduced himself to the assembled officers. "I’m going to show you to your quarters in the academy. Fell free to ask about anything you like on the way, and try not to get separated." They all responded with a chorus of "Aye, sir." Holkham shook his head, gently, smiling. "Call me Jim. For now anyway." He shot them a grin, and they all followed him out of the ward and out of the building. It was night. They found a runabout waiting for them on the dark lawn outside, and they filed in. The runabout lifted off and sped over the city, taking them to the massive Academy building on the other side of San Francisco. On the way, they talked with Holkham. Dax found him to be likeable, if a little chaotic. When the shuttle landed, he showed them all inside the Academy. Dax was startled to see that it had hardly changed at all in the one hundred and ten years since she had last been there. The only major difference was the addition of two dozen or so insignia to the Membership Wall. Holkham led them down a long corridor to the end. He indicated that individual quarters had been allocated to them, and that they should attend a meeting with him at oh-eight-hundred the next morning. They thanked him, and walked into their own quarters. Dax’s were quite large. There was a sitting area with a window, a bathing room, and a large bedroom. She caught sight of her reflection in a mirror, and gasped. It was not a reflection she had seen for six years of her waking life. She looked younger, much younger. She looked no older than she did when she first stepped aboard Deep Space Nine. Calming down slightly, she remembered that prolonged periods of time spent in stasis could have a rejuvenating effect. Thinking back now, she remembered that Julian had looked younger than she remembered as well. Her mind still reeling from the conversation she had had with admiral Trealor, Dax sat down on a chair, to contemplate the impossible turn her life had just taken.